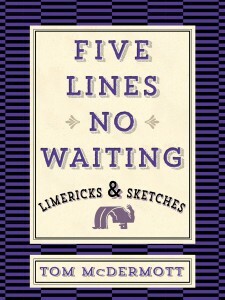 My new book of 176 limericks and 34 sketches was officially published on April 1 by Sagging Meniscus Press! I will have reading/piano performances at Blue Cypress Books on Monday, April 17 and Octavia Books on April 18, both at 6 PM. You can purchase the book at Blue Cypress, Octavia, the Louisiana Music Factory and direct from me at tmcd@ix.netcom.com.